With so many worthy and important causes out there, and only so many donation dollars to spare, it’s hard to pinpoint just one organization to focus on. But there is one that we work with here at Goldline Mobility that doesn’t get quite as much attention as the children’s, women’s or cancer charities, yet it could happen to any one of us at any time. 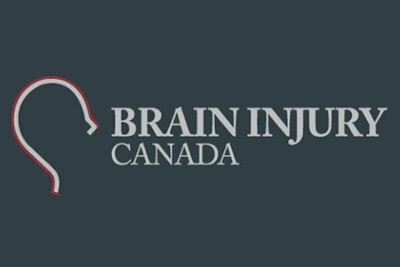 The Brain Injury Association of Canada helps people who have suffered brain injuries. Sounds relatively simple, but it is actually terribly complex. A brain injury can happen to you when you’re driving in a car, riding a bike, stepping out of the shower or walking down the stairs. One popular case of a serious brain injury that happened recently is with retired car racing champion Michael Schumacher, who hit his head on a rock while skiing. He was reportedly wearing a helmet, but his brain still swelled and his survival and future is still very much in doubt at this point. All it takes is a blow to the head in the right spot with the right amount of force, and that brain tissue can bruise and swell, often with catastrophic results. Your brain controls everything you do. It tells your heart to beat, tells your lungs to expand and take in oxygen, it sends signals down to your hand so you can scroll through this blog post and it makes sense of the words your eyes are seeing. The brain is tremendously complex, which is why brain injuries are so unpredictable, and one reason The Brain Injury Association of Canada is such a worthy cause and should be on your donation list. A brain injury happens all of a sudden, and no two are exactly alike. Depending on which area of the brain is affected, and the severity of the injury, the effects may be mild or horrific, short-lived or for the rest of your life. It stands to reason that a brain injury could potentially affect your ability to think and process information. Things like long and/or short-term memory, ability to reason, problem-solving, reading or writing skills and concentration may be affected. Many of these people end up living a normal life span but require regular care in order to live day to day. Imagine being in control of your life one day, then not being able to remember your friend’s names or balance your chequebook the next day. The physical effects of a brain injury are also unpredictable, and can also have a major impact on your quality of life. Many of the vans and vehicles we’ve modified over the years were for people who suffered a brain injury and lost the ability to walk. Loss of mobility is a common physical effect of traumatic brain injury, that may last a lifetime. Losing your ability to speak or see or your sense of smell are other possible physical effects. The cost involved to modify vehicles and homes, teach people to communicate or help them get around if they can’t see can be astronomical. Often forgotten amidst the intellectual and physical injuries are the emotional issues that can stem from a brain injury. Anger management, impulse control, frustration, impatience, depression and overall changes in personality are often part of the process when a brain injury occurs. Quite often, the ability to carry on a stable social life is taken away, as the injured person just can’t relate to other people in a constructive way. The reality about brain injury is that most of the people who end up having one weren’t engaged in some daredevil type activity ahead of time. It’s true that certain sports or occupations are more susceptible, but it really can happen to anyone on any given day. That means you, your spouse, your kids, parents, grandparents, brothers and sisters, friends, co-workers, anyone. Seeing the cruel effects of these injuries so many times is why we support The Brain Injury Association of Canada, and why we encourage others to give, too. The suddenness, plus the unpredictability and large-scale financial needs for treatment, rehabilitation, education, life modifications and re-entry into society are why you should make room on your donation list today.